The 1000 Books Foundation is a Nevada 501(c)(3) non-profit public charity which operates the nationwide (and in Canada) 1000 Books Before Kindergarten challenge. The concept is simple, the rewards are priceless. Read a book (any book) to your newborn, infant, and/or toddler. 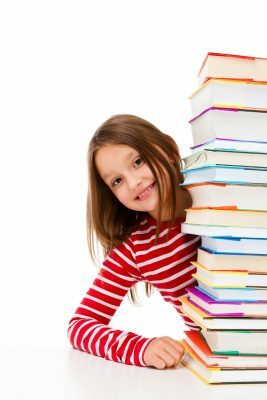 The goal is to have read 1,000 books (yes, you can repeat books) before your precious one start kindergarten. The 1000 Books Foundation provides useful information and resources to parents and caregivers and enables libraries, schools, churches, and other non-profit entities to host 1000 Books Before Kindergarten challenges in their local community. We provide an innovative, yet fun approach to establishing strong early literacy skills. Parents and caregivers keep track of the books that they read to their children. Parents and caregivers can use log sheets, journals, or even our iPhone and Android App to track their reading. We help parents and caregivers give their young children the confidence necessary to become strong readers and successful in school and life. In addition to the 1000 Books Before Kindergarten challenge, the 1000 Books Foundation other projects include #TheBigRead (an annual one-day event that promotes reading just one book) and a very active social community on Facebook , Twitter, and YouTube. Not all communities are able to offer the 1000 Books Before challenge to their residents. However, we hope this does not dissuade parents and caregivers from taking the initiative to complete the 1000 Books Before Kindergarten challenge. All the materials necessary (e.g., log sheets, milestone markers, and certification of completion) to complete the challenge are available on our website for free. Even if you participate in your local community challenge, please join our on-line community.